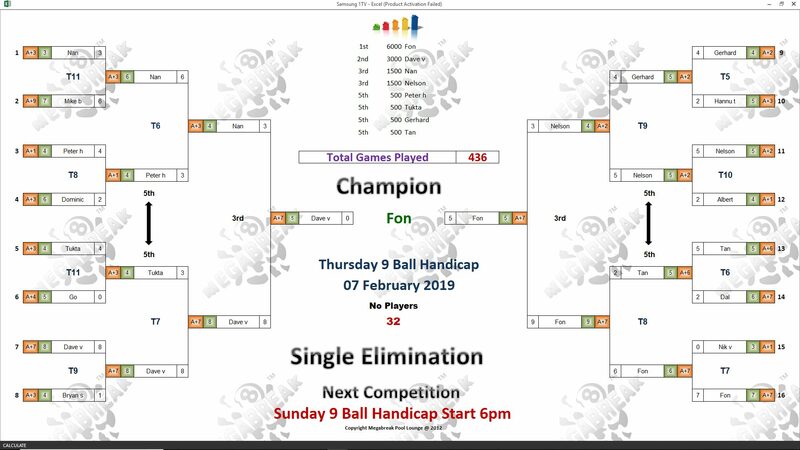 THURSDAY 9 BALL – 7th FEBRUARY : FON WINS. 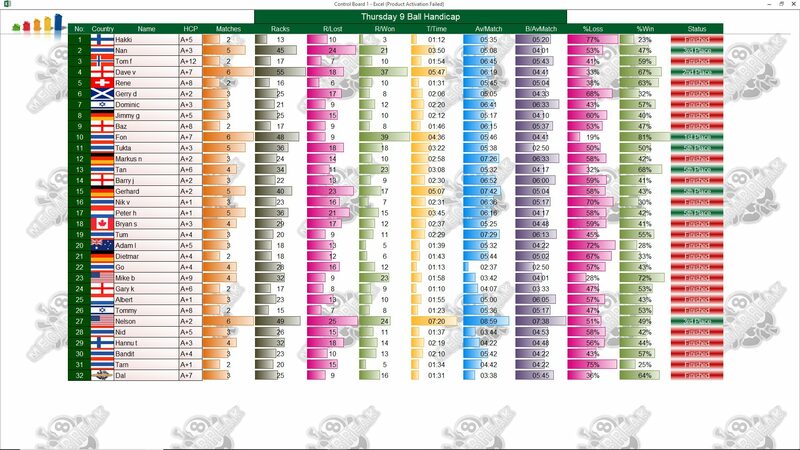 It was another victory for the girls on Thursday night with Fon winning her first tournament here for more than three years!! She was on top form all night long, staying undefeated in six matches and ended up a very worthy winner. 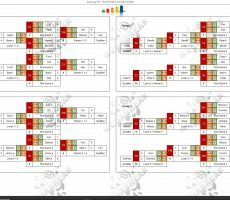 From a total entry of 32 players, she easily beat England’s Dave Value in the final without letting him trouble the scorers to claim the 1st Prize of 6000 baht. 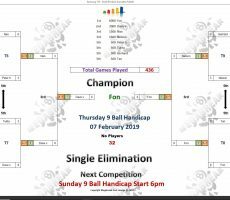 Dave played well to win five consecutive matches and reach the final, but unfortunately was no match for our champion, and took home 3000 baht in 2nd Place. Nannygirl Dajan and Nelson Tyler both reached the semi-finals, pocketing 1500 baht each. 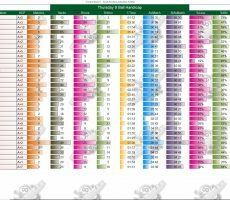 Champion : Fon (A+7) – 6000 baht. 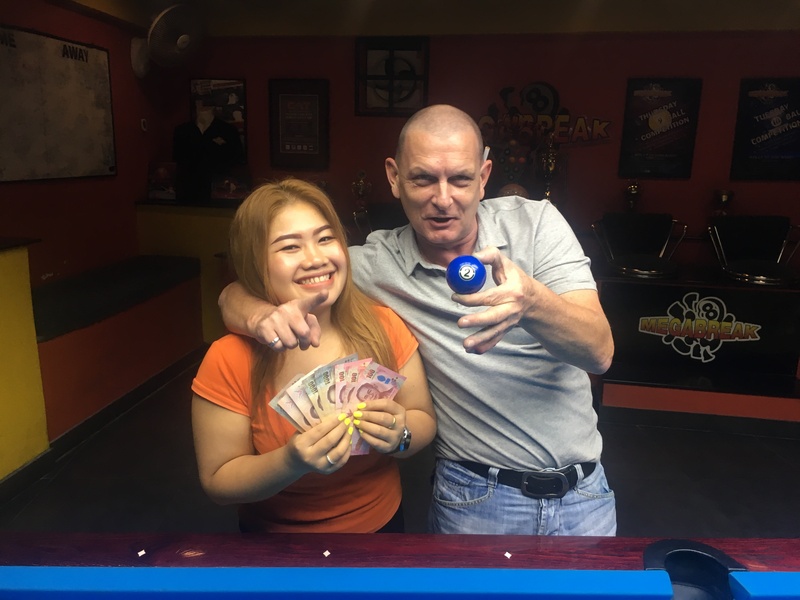 Runner-Up : Dave (A+7) – 3000 baht. 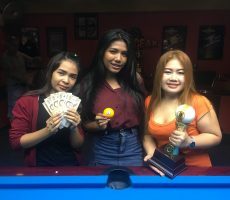 Semi-finals : Nan (A+3) and Nelson (A+2) – 1500 baht each. 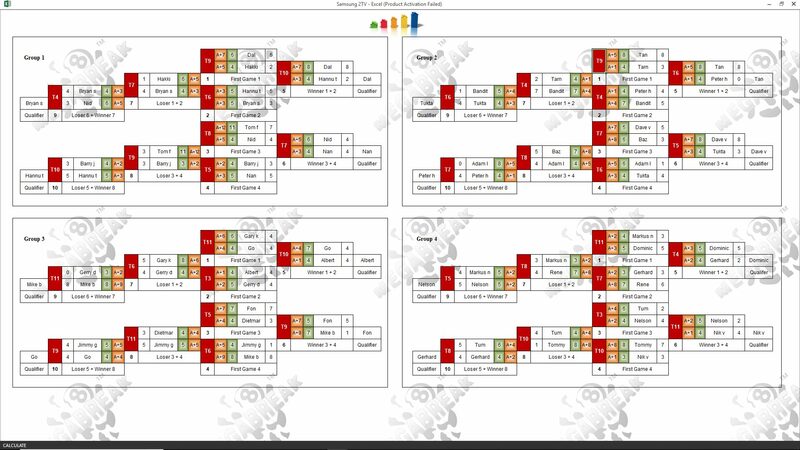 Quarter-finals : Tan (A+6), Tukta (A+3), Gerhard (A+2), and Peter Jiskoot (A+1) – 500 baht each. 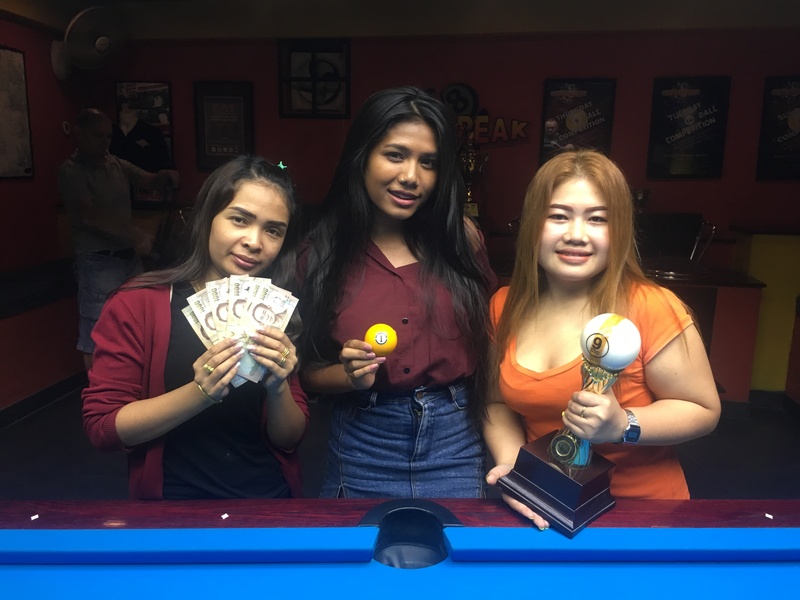 The Player Auction Prize Fund totalled 33400 baht and was won for the second successive tournament by Dominique Zagouri. He bought Fon for 1300 baht, and they shared the 1st Payout of 9900. 1st : Dominic (Fon) – 9900 baht. 2nd : Fon (Dave) – 6600 baht. Equal 3rd : Barry Johnston (Nan) and Tor-Arne Fenes (Nelson) – 3600 baht each. Equal 5th : Gary Kuhnel (Tan), Tor (Tukta), Mike B (Gerhard), and Dominic (Peter) – 2000 baht each.